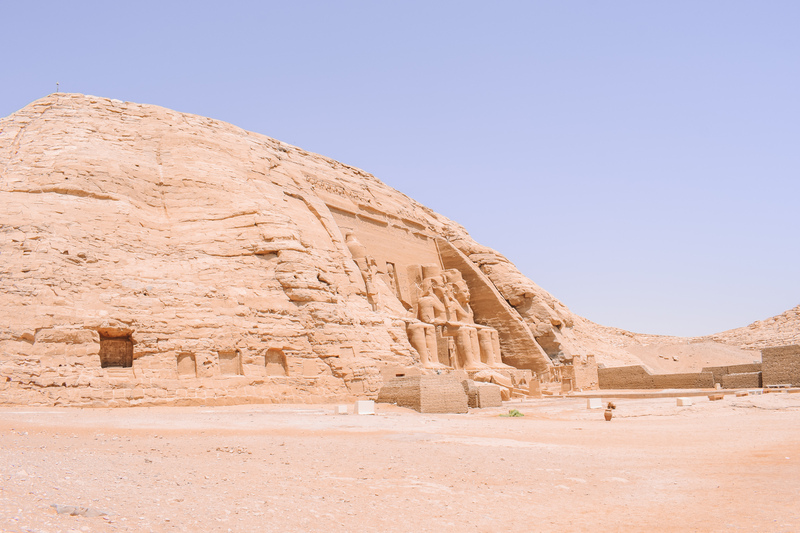 Apart from the Pyramids of Giza in Cairo, the temples of Abu Simbel were the attractions I was most looking forward to visiting in Egypt. 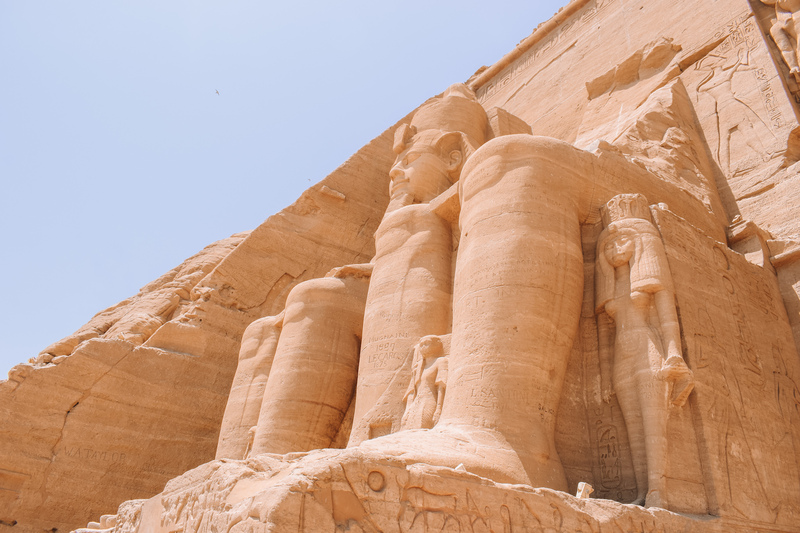 The Abu Simbel temples are located in Abu Simbel, a Nubian village very close to the Sudanese border. The Egyptian Pharaoh Ramesses II built them over a 20 year time period. In 1813 there were rediscovered after being buried in the sand. 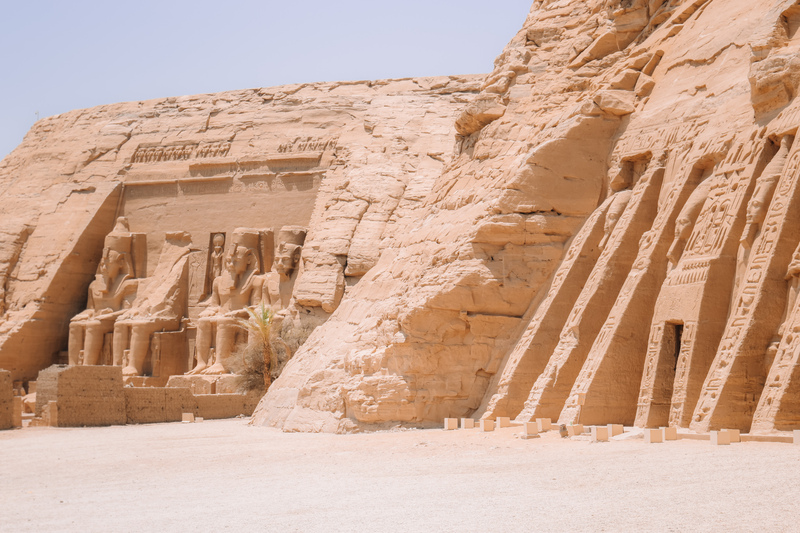 To get there, I took an overnight train from Cairo to Luxor and then enjoyed a three-hour car ride to Aswan. 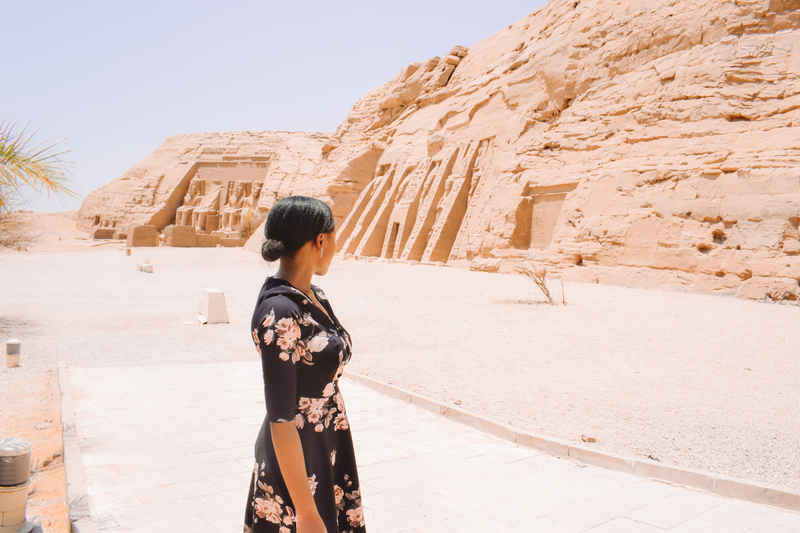 From Aswan, it took about the same time to get to Abu Simbel. The first thing I was in the awe of upon my arrival, was the massive size of the temples. In the pictures I had seen, they did look very big but it just felt inspiring seeing them in person. I was also in awe of how beautifully carved out the stones were. The details were amazing. When we arrived, My guide had asked me to spot the differences between the three (intact) statue heads at the first temple. I didn’t notice any. He pointed out that in each one, Ramesses II looked older, indicating that the temple was constructed following his life. But why were they built in the first place? Why was Abu Simbel built? 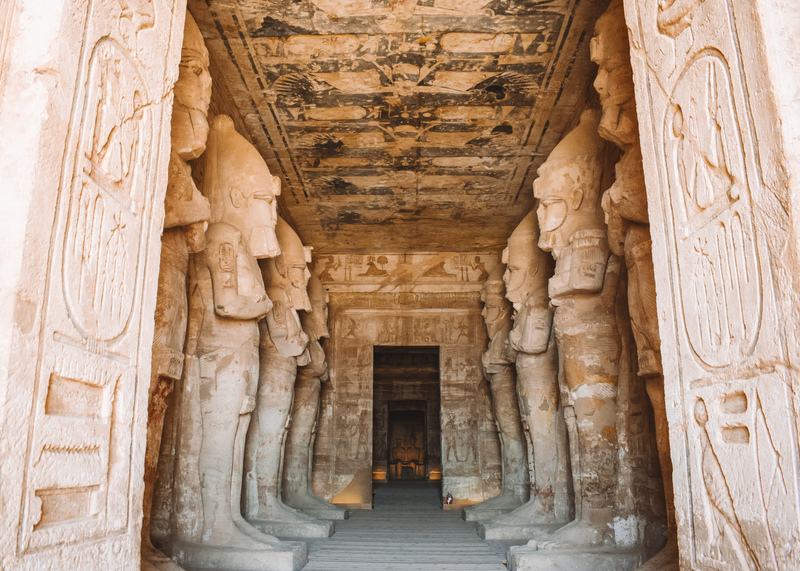 Pharaoh Ramesses II built the temples to commemorate his victory at the Battle of Kadesh. My guide also tells me that the Pharaoh built them to display his strength to the Nubian people. Interestingly, while working on this post, I read that both the Hittites (found in modern-day Turkey, Syria, and Lebanon) and Egyptians claim the victory of the Battle of Kadesh. But according to Historians, there was really no victor or conquest. Both parties eventually met several years later, to form a treaty – the first known surviving treaty in history. 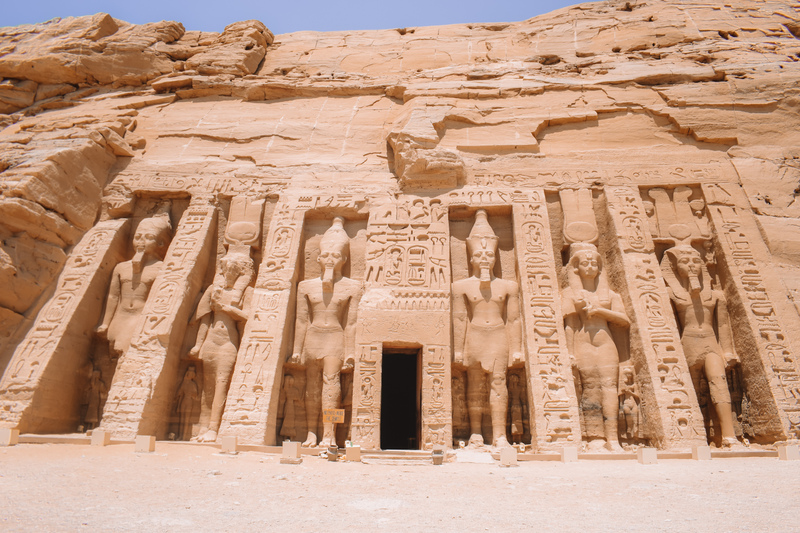 Ramesses II also built a smaller temple beside his in honor of his beloved wife, the Queen Nefertari. Her statues on this temple match his in size, which was quite uncommon for Pharaohs in those days. This temple is said to be a testament of their love and one of the greatest honors a King could bestow on his wife. One fascinating thing about the first temple is the way it was built (and rebuilt). On two days of the year, October 22 and February 22 (formerly minus one day), sunlight shines into the inner sanctuary and lights up three statues seated on a bench. The three gods include Ramses II himself, Amon Ra, and Re-Harakhte. The fourth god, Ptah – the god of the underworld and darkness, remains in total darkness during these days. 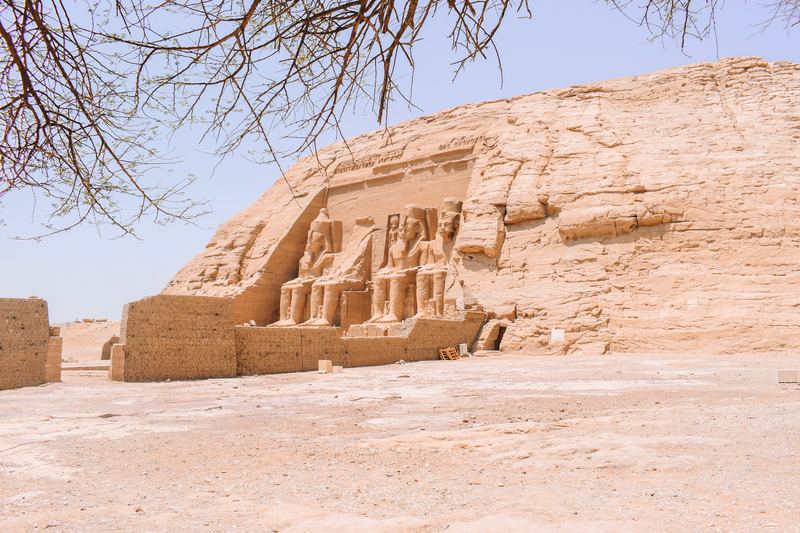 During our walk from the car park to the temple, my guide had told me of how, like the Tempel von Philae, the Abu Simbel temples were relocated to save them. In the mid-20th century, during the construction of the Aswan Dam on the Nile River, a massive reservoir was created and this threatened to submerge the temples. The government and UNESCO initiated a fund-raising campaign to save them. Over 50 countries supported this campaign. 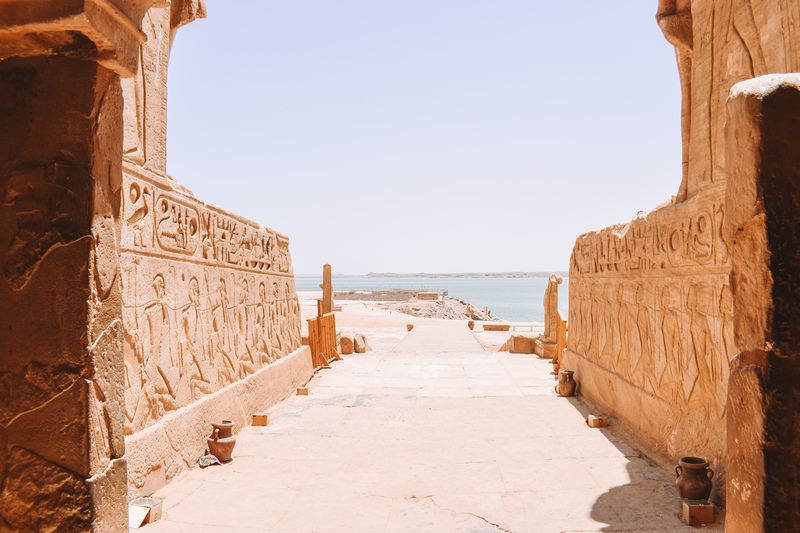 The temples were cut into several pieces, transported and reassembled in their new location – overlooking Lake Nesser. What have you done for your girlfriend or wife lately? Hmm? The Mughal emperor Shah Jahan built the Taj Mahal as a mausoleum for his beloved wife Mumtaz Mahal, Ramesses built Abu Simbel for Nefertari. Please be more romantic in 2019. Thank you! Wow Amarachi! You have so much knowledge. I am just so amazed at how the ancient Egyptians created such amazing structures – so much intelligence! Please share more. 😂😂😂😂….I’m not sure history tells us of any Nigerian man who has done something so spectacular for his wife😭😭😭….oh ye men of our generation, hear ye the gospel this day. Be ye thoughtful. Louder for the men at the back! Looolll @ please be more romantic in 2019.